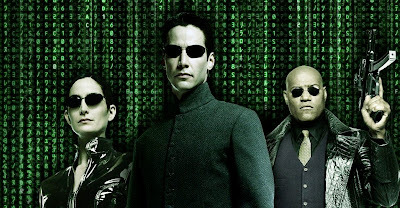 Usually if someone says 'We're living in the Matrix' you give them a bit of a sidewards glance, chuck 'em a few bucks for some soap and a shower, and tell the kids that's what happens when you do drugs. Still, the University of Washington are no such folk, but that hasn't stopped them actually putting funds towards a team of physicists exploring if the universe is one giant simulation program, run by super-computers of the future. Sound familiar? Looking at constraints imposed on simulations by limited resources could show signs that we are mere bit-part players in a Matrix-style film plot. While I spend the day practising my Matrix bullet dodge and checking whether the lady behind the cafe counter answers to 'Trinity', I'll be hoping during the "many years" it will take this team to deduce an answer, they'll find out how to work other previously thought video-game only abilities into the real world too. Sonic Hedgehog speed, Dhalsim's Yoga Fire - who doesn't want this stuff? Just don't make the price tag too high guys. I don't have the disposable income of the Uni of Washington. I think you need to expand your database. You should visit more than one cafe. Eventually you would find a Trinity. ;) I'm pretty sure there were a couple in my sister's graduating class. Hey I moved to Australia didn't I? It's where she came from apparently, but no, no such find yet. Maybe if I cut the telephones before walking in the door, Matrix people can't disappear into WiFi can they? I'm not so sure about that. I've heard her voice in my Mass Effect game. And I downloaded parts of that over my WiFi.